A photograph captured by Formula 1 legend Michael Schumacher, who was badly injured in a skiing accident last month, is among images to be auctioned for charity. Formula 1 racing drivers used Nikon Coolpix cameras to take photos that will be auctioned for Great Ormond Street Hospital Children’s Charity on 7 February. The Coolpix S9500 models, signed by some of the sport’s top names, will also be sold to raise funds. Those taking part include Sebastian Vettel, Fernando Alonso, Nico Rosberg and former Formula 1 drivers Damon Hill, Jacques Villeneuve and Sir Jackie Stewart. 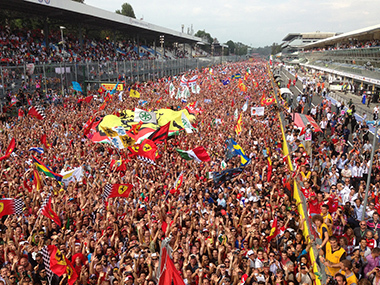 The image by Michael Schumacher, which is unsigned, was captured last year. The auction – to be held at the InterContinental Hotel on Park Lane – will be hosted by TV presenter Suzi Perry.